Chris Young performing as a part of the MLB Fan Cave Concert Series presented by Budweiser from the MLB Fan Cave on in New York City, New York. Photo Credit: Taylor Baucom/MLB Photos via Getty Images. 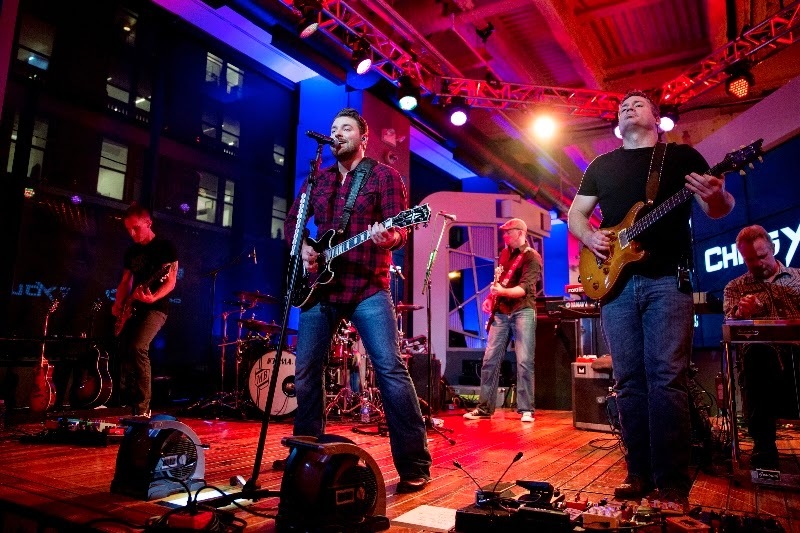 Nashville, TN – January 6, 2015 – During a jam-packed trip to New York City last November surrounding his sold-out show at Best Buy Theater, avid sports fan Chris Young stopped by MLB's Fan Cave for a pop-up show as part of MLB’s Fan Cave Concert Series presented by Budweiser. Young hit it out of the park with an electrifying 40-minute show for the surprised fans! Exclusive interview clips with an inside scoop on touring and the songwriting process, quips about his occasional mistaken identity with the Seattle Mariners pitcher of the same name plus a performance of his hit "Lonely Eyes," can now be seen HERE. Chris Young’s latest album A.M. has already yielded his Gold certified, sixth chart-topper “Who I Am With You” and Top 5 hit and Gold certified single “Aw Naw.” His latest hit, “Lonely Eyes,” is quickly climbing the charts. Young has sold-out 21 headlining shows in the U.S. since last summer. The Grammy-nominated singer recently announced his 2015 World Tour, with dates set for Australia, Ireland, Germany and the UK. Join the conversation with Chris Young’s more than 2.2 million followers on Facebook, Instagram and Twitter and get tickets to catch him on tour at www.chrisyoungcountry.com.